Expired 3d ago . Last validated 2wk ago . Used 26 times. Lismary Jaramillo I am validating that this deal works as described. 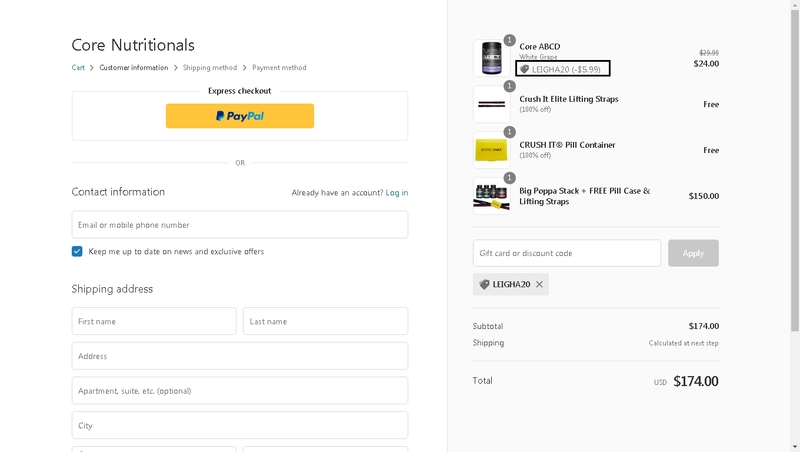 Just apply the promo code at the shopping cart and get 20% Off Your Order at Core Nutritionals (Site-Wide). German This deal was verified and it is working as described. 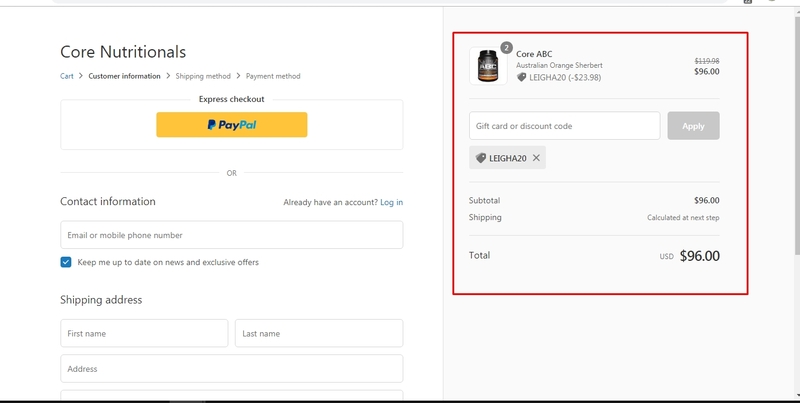 Select the items and enter the promo code <LEIGHA20> at checkout to get 20% off your order at Core Nutritionals. Jose This deal was verified and it is working as described. 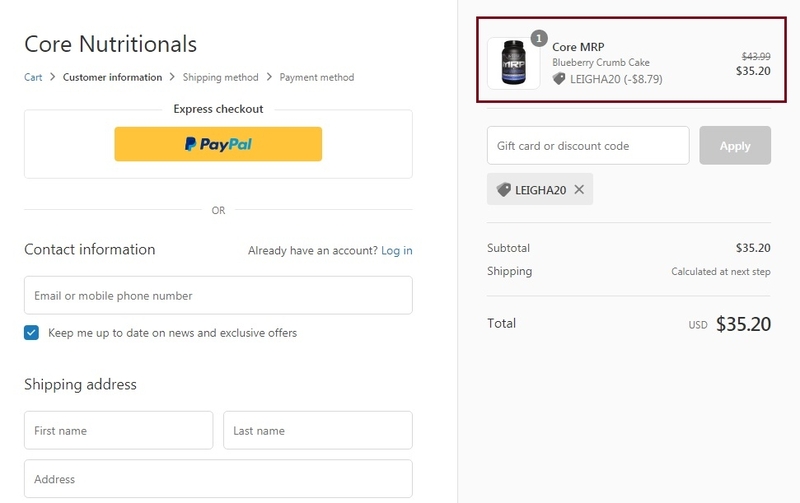 Select the items and enter the promo code <LEIGHA20> at checkout to get 20% off your order at Core Nutritionals.